Goal conflict is a necessary and central part of how organizations work. This is true even if we ignore personal goals that may differ from the organization’s and focus only on the goals that all have to meet, at the same time, for the organization to function well. Cars are made in production lines that require quality, speed, and low cost. Airlines require safety, service, and low cost. Health care requires personal attention, standardized procedures, treatment of all possible conditions, and again low cost. And finally, important for this blog, an army requires its soldiers to inflict injury on others, risk or experience injury themselves, and maintain mental health good enough to go out and do it all over again. A paper in Administrative Science Quarterly by Julia DiBenigno looked at the goal conflict between the U.S. Army’s commitments to providing mental health care and keeping its force mission-ready, and her findings are important for any organization. She addressed a fundamental problem of goals that are in conflict: usually each goal is assigned to specialists with expertise in that specific goal, so resolution does not happen inside someone’s head but rather as an interaction between the people in charge of each specific goal. Usually that is done by prioritizing one goal and assigning the other goal to a service-providing or supervisory function in the organization. The U.S. Army exists for fighting, and naturally commanders are in charge. But mental health care is also a high-priority goal because the recent wars have put a heavy load on each soldier, and post-traumatic stress disorder and affiliated conditions take highly trained soldiers out of action. 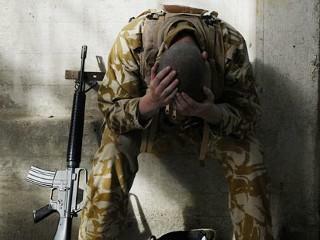 Many even commit suicide, spreading the pain more broadly to also affect families of military personnel. This is recognized as a key problem by everyone involved, but solving it involves negotiation between specialists. This leads to push-and-pull with two frequent results: the health care provider is coopted by the commander and serves the commander’s purpose, or the health care provider stays anchored in the care identity and interferes with the commander’s purpose. As a result, most conflicts are poorly solved: analysis found that 5 percent ended with a good mutual solution, in 85 percent either the commander or the health care provider won the battle, and in 10 percent both lost out. But here is the key message of the article. The statistics I cited were for only two of the four brigades DiBenigno studied. In the other two, 89 percent of conflicts led to a good mutual solution, in 7 percent one party won but not the other, and in 4 percent both lost. This is a really large difference, and the reason for it boiled down to one minor change in organizational structure with major consequences for the process. In the successful brigades, each health care provider was embedded in the clinic but also assigned as a point of contact with specific commanders, which led to longer and more personal interactions than in the other two brigades. The result was an anchored personalization: the provider was anchored in a group of other mental health professionals who shared knowledge and norms, and the provider had a personal network of commanders that allowed learning each commander’s needs and earning trust as well. The personal interaction proved to be central to understanding each other’s thinking and finding adaptive actions in each situation. It had a massive effect on the ability to find good solutions, especially because the goal conflict was unique in each case. Mental health issues are complex, but so are the needs of military units and their commanders. Perhaps most remarkable is the origin of the difference in problem-solving capacity: just a simple change in organizational structure that regulated which care providers interacted with which commanders created a total change in how these interactions were done. It’s an important lesson for organizational design – how it is done determines what happens later. DiBenigno, Julia. 2017. "Anchored Personalization in Managing Goal Conflict between Professional Groups: The Case of U.S. Army Mental Health Care." Administrative Science Quarterly, forthcoming: 0001839217714024.